Hot and steamy – Vampires and Witches – Bastien’s Bite is not for those who are timid, or faint of heart, however, if you dare to take the plunge, you will find C.A. Worley’s paranormal romance is just what you needed to turn a normal week into an extraordinary one! Oh, and when you are finished reading the hot excerpt below, don’t forget to enter in the Giveaway, for your chance to win a 25 Dollar Amazon gift card. Now, what are you waiting for? 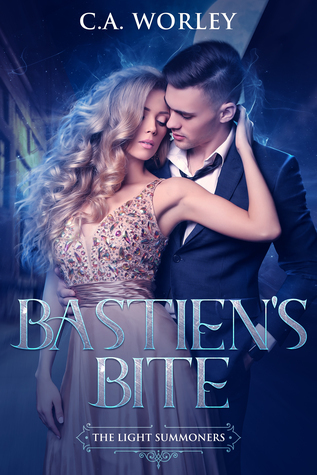 Get Bastien’s Bite right now on Amazon! C.A. currently resides in the Midwest but was born and raised in the South. She spends her days working from home and her evenings are spent shuttling her kids to and fro. Her dinners are subpar, but she makes a mean dessert.